Next on the list: industries! 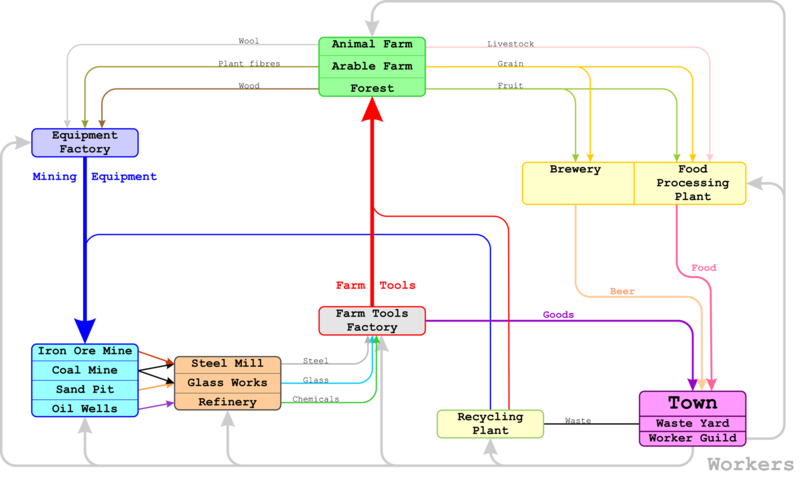 It has been a while since I have posted and early development article of NUTS and now is the time when I am starting another newGRF project – new industries. It all started as I was trying to find some ways how to improve FIRS, but the required changes would be way too major so it is better off to make a separate newGRF. In this article I am going to present to you the ideas that I have gotten so far, and how is the core of the set going to work and of course I am going to explain why. NUTS: Revolution among train sets? After a while I am writing an article again. But unlike before, I will not mention building styles, techniques or anything similar. As some of you might know already, I started drawing my own trains some months ago. The set is called NUTS, (Nameless/NUTS) Unrealistic Train Set and it’s home is at the devzone. In this article I would like to make an official introduction to the set and describe why and how is it expected to work. Why do I write this? Basically because I am not going to just describe how is my set going to look as that info can be found on the devzone already, but I would also want to talk about the aspects and behaviours of other sets and what do I see good or bad, or what to consider when making a plan in our games, or even what to think about when choosing newGRFs for your own single player game. For just a weekend offline I return to discover another new feature merged to trunk OpenTTD when reading the changelog: In the fruit basket I found a bunch of bananas, or more properly spellt, BaNaNaS. BaNaNaS is an acronym which stands for Base graphics And NewGRF And NoAI And Scenarios and is the new content delivery system of OpenTTD. It allows you to update to the newest version of base grfs (OpenGFX), NewGRFs and NoAI – computer players. 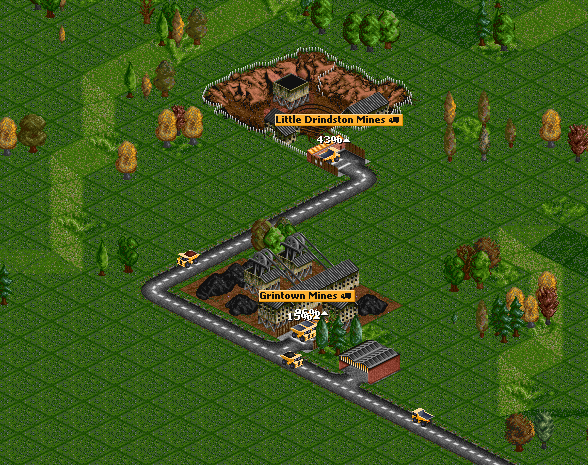 A lot of effort has been put into it by especially Ammler and Planetmaker and we’re proud to announce a new release of the OpenTTD Coop GRF Pack. Version 7.3 has a lot of updates and additional GRF’s that have become available since the previous release. Heavy Equipment Set in action. You can read about all changes at this page. The pack is downwards compatible, so previous saved OpenTTD Coop games can still be played if you install the latest GRF pack. Go get your copy of the pack now!